A wonderful, beautifully appointed, corner house directly overlooking the sea set in the exclusive comunidad of El Enclave. It is both romantic and private - everyone's favorite. The house is more than big enough for 4 people but generally I prefer to keep the numbers to 2 or 3 visitors to ensure the house is well kept . The house and communidad have a spanish feel but the original german owners made sure that the decor was to a high standard and I have ensured that this continues with regular improvements. All the rooms have wonderful views of the sea and the terrace with its barbecue is a favourite for chilling out. Overall the communidad is well maintained with a gardener and concierge to ensure everything is up to scratch. There is off street parking outside the house with a separate gated entrance for better security. There is private access to the sea via steps from the communidad pool to a jetty. Inma, the concierge, who lives on el Enclave, is the "go to" person for any problems. She knows the house well and and has a key and can usually sort out any problems or find someone who can. The area is very 'spanish' in that majority of holidaymakers were Spanish families. So had a very authentic feel about it. It was good eating out. Our week was very hot and property would have benefited from air conditioning throughout. We had a fabulous time in La Herradura. The accommodation was good and the view from the terrace mesmeric; with its ever-changing scenery and activities - a perfect way to enjoy dong nothing (except sipping a cold tinto verano). So many people have written so many nice things, it is difficult to add much more. We were there as a last minute reward for a thoroughly miserable time in June in Corfu, with unseasonable rain and grey skies. This was the tonic and uplift we needed before the UK Autumn and Winter trudge. We tried travelling to Nerja (too British) and could not wait to return to friendly traditional (a little bit scruffy) but very real La Herradura. The pool was clean and well maintained but we mostly loved the beach. This is a Spanish location and we loved it for that. It was lovely to see generations enjoying the beach and each others company, sharing the simple pleasures of sun, sea and fresh fish served at the beach restaurants. It pains me to "recommend" La Herradura as it might draw even more visitors. We just hope we can become one of Jill's regular band of repeat visitors - please extend the season? We were looking forward to our 2nd visit to El Nido and we were not disappointed. The lounge area has been completely changed and elevated with marble flooring and bi folding doors out to the terrace, this now makes the lounge a more attractive place to sit with the views out to sea. The addition of mosquito nets on the bedroom windows also allowed us to have the windows open at night to give better airflow in the room. The situation of El Nido is quiet with beautiful views over the bay, there is a swimming pool and there is a walk down some steps to the sea were you can swim. 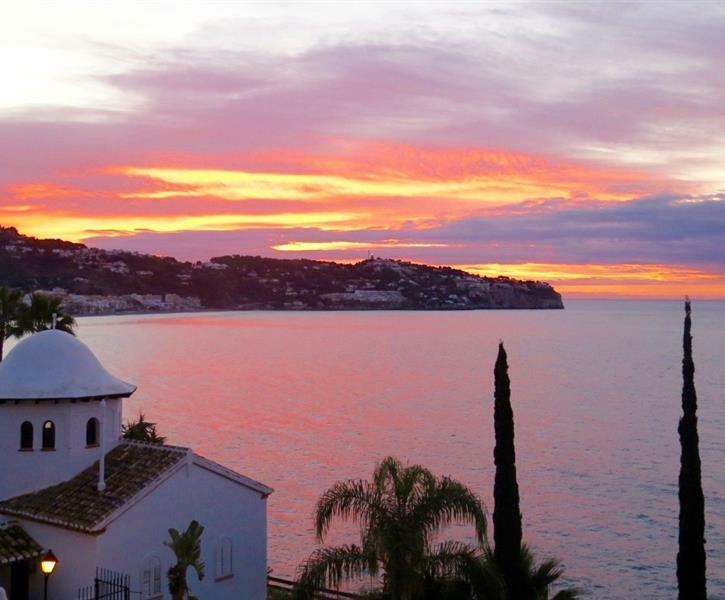 The town of La Herradura is typically Spanish with many supermarkets and places to eat, you are always welcomed. The beach around the bay is approx. 2 miles long and there is a smaller beach at Marina del Este (worth a visit). I saw an earlier review that mentioned a problem with jellyfish? It can happen I suppose but in the 4 stays we have had on this coast we have never come across the problem in June / July or September. Would we go back, well 5 days after returning we’ve booked again for two weeks next year. Thank you Jill for allowing us the privilege to rent your home once again. This was a return visit to El Nido. First week to share our friends birthday celebrations and the second week to chillout and relax. The changes to the lounge area are a real improvement and make this area much more usable. El Nido has to be one of the best locations in LH. The views from the bedrooms and terrace are stunning. The one downside of this visit was finding the swimming pool closed and drained without warning on our second Monday. It was still closed when we left five days later. To swim and cool down then meant going up to the pool at Los Palomas, a lovely pool but, of cause, extra expense. Sea swimming was not appealing as the Jellyfish had arrived in mass earlier than normal - in fact a 10k swimming event at the weekend had to be cancelled because of them. Other than the pool issue we had a super stay and would use El Nido again when we return to LH.